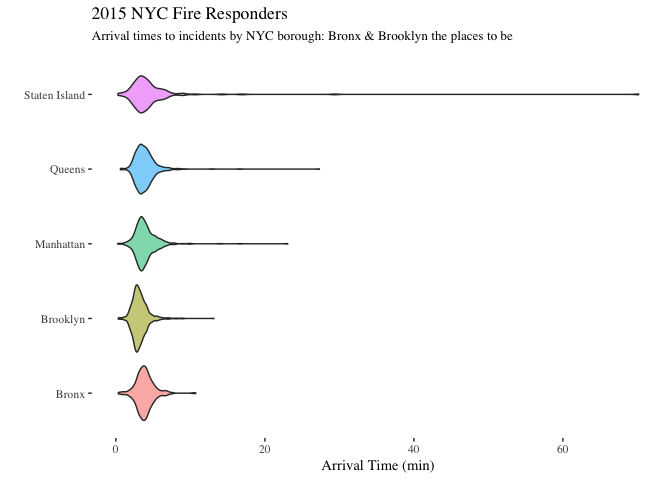 Below are some details of the most severe NYC fire incidents of 2015. If all these fires happened at the same time, would the entirety of all five boroughs be in flames?! Click on each mini fire for a little bit of detail. Each cluster represents the number of fire incidents in each specific area. Click on the clusters to slowly zoom into each incident. The circles below represent fire incidents that occurred in certain property types. Click on the circles for more info about each incident. Good news: no matter where you are in NYC, most of the time, it doesn't take longer than 5 minutes for first responders to come to the rescue (which seems insane, because, traffic?). 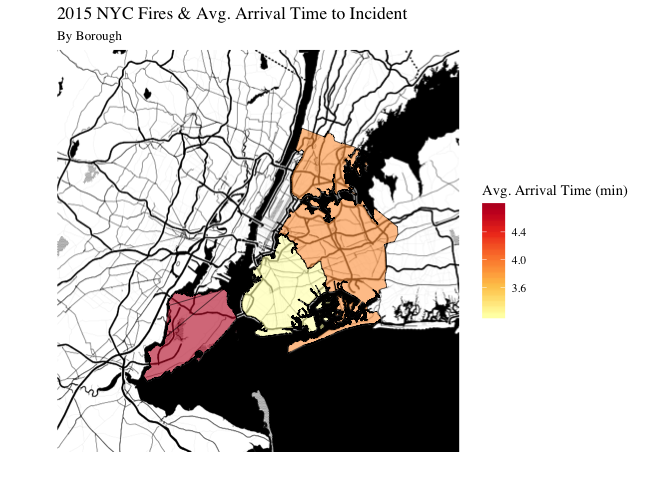 Though, since every second counts, check out the maps below for a quick look at the average response time to an incident in each borough. Graphics were created using R, and Leaflet. Data from NYC Open Data. Code on Github.